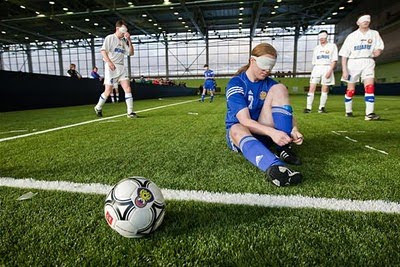 This might be the most bizarre soccer tournament ever, the soccer tournament for the blind people. 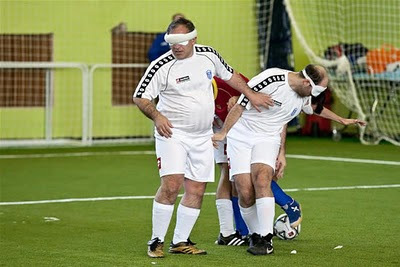 but how can the blind people play soccer?? 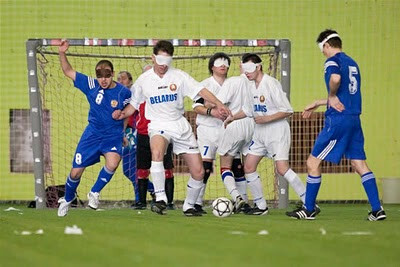 well you have to check this out about the Blind Soccer Tournament | The Soccer Match for the Blind People. 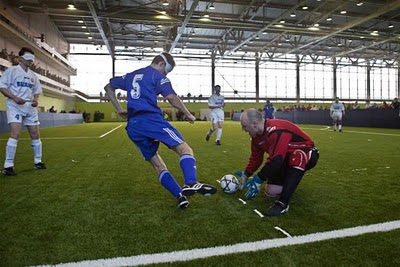 The latest tournament took place in the Sokolniki district of Moscow. Four international teams gathered for a series of matches “in the dark”. It’s hard to understand how you can play a game like soccer without seeing a thing. All the players, with different degrees of blindness, have their eyes stuck shut with a kind of band-aid and covered with a night mask that provides protection and puts them all on equal footing. But just because their vision is impaired, doesn’t mean they can’t use their other senses to coordinate. Their developed hearing helps them locate the ball and their team-mates and guides them towards the opposite goal. The ball itself is not the kind used in normal soccer matches, it’s a lot heavier, doesn’t bounce and produces a rattle noise to alert the players to its location. The game lasts for two 25-minute halves, in which the players, guided by their coaches and team-guides, people who sit behind opposite goal and direct players on how to approach and score. 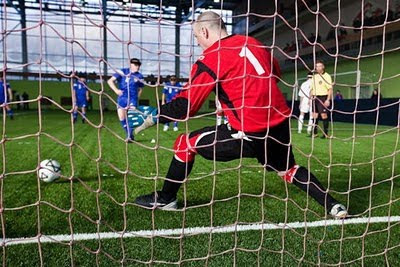 One of the most interesting things about soccer for the blind is the goalkeepers aren’t blindfolded, so they can see where the ball is going. Still, goals are scored regularly, unlike in the Eton Wall Game. Don’t imagine the game looks anything like the normal soccer games, the players hardly ever pass long or use their heads, they mainly stick to dribbling, short passing and shooting at the goal.